Nanoemulsions exhibit a number of advantages to carry and deliver lipophilic compounds such as essential oils (EOs) due to their good stability and high surface area per volume unit. The purpose of this work was to assess the long-term stability of nanoemulsions of clove and lemongrass (LG) EOs and their principal components eugenol and citral (CI), respectively, at 3 different concentrations (2, 5 or 10 times their respective minimum inhibitory concentrations) and at two storage temperatures (1 °C and 21 °C). The initial droplet size of LG and CI-loaded nanoemulsions was below 100 nm and most of them kept droplet sizes in the nano-range until the end of storage at both temperatures. The ζ-potential was lower than − 40 mV, but it increased through storage, indicating a weaker alginate adsorption at the oil surface at both temperatures. The antimicrobial activity increased with the EOs concentration and was negatively affected by the highest storage temperature. Nanoemulsions containing CI and LG were able to significantly decrease Escherichia coli counts during storage, particularly at 1 °C. Nanoemulsions containing 1.0 and 2.0% w/w CI and 2.5% w/w LG were the most efficient in reducing Botrytis cinerea growth through storage, mainly at 1 °C. The nanoemulsions containing 1.0 and 2.0% w/w CI, as well as, 1.25 and 2.5% w/w LG better maintained their stability and antimicrobial effect along 6-months storage mainly when at 1 °C, making those nanoemulsions suitable as edible coatings for food preservation. 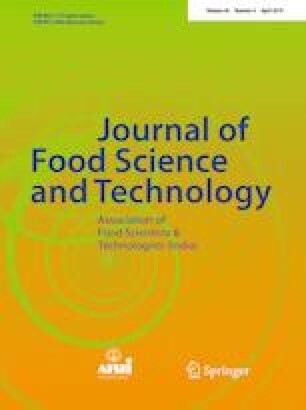 Future studies should be oriented to evaluate the impact of these nanoemulsions on the organoleptic properties of coated foods and their potential toxicity. The online version of this article ( https://doi.org/10.1007/s13197-019-03762-1) contains supplementary material, which is available to authorized users. Author Custódia Maria Luís Gago thanks Fundação para a Ciência e a Tecnologia (Portugal) for their postdoctoral fellowship SFRH/BPD/108831/2015. Author María Artiga-Artigas thanks the University of Lleida for her predoctoral fellowship. This study was funded by the Ministry of Economy, Industry and Competitiveness (MINECO/FEDER, UE) throughout Project AGL2015-65975-R.